Psalm 118: Recount the Dead of the Lord! Psalm 100: Why Should We Be Thankful? Psalm 67: The Shining Face of Our King! The following Sunday, November 25th, is the last Sunday of the church year. It’s typically called “Christ the King” Sunday. 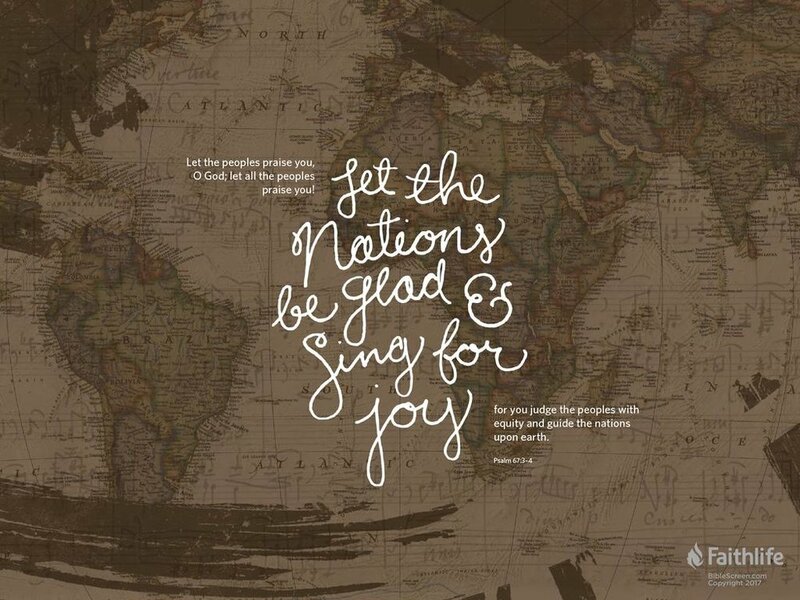 That morning, the congregation will consider Psalm 67, which includes this verse: "...for you will rule the peoples justly and guide the nations of the earth" (Psalm 67:4). The sermon theme comes from the first verse: "May God be gracious to us and bless us and make his face shine upon us" (Psalm 67:1), which reminds us of the second phrase in the frequent benediction: "The Lord make his face shine on us…"
The sermon theme and sub themes that day will be: THE SHINING FACE OF OUR KING! I. Our King shines on us with His salvation! II. Our King shines on us with joy! III. Our King shines on us with mission zeal! On Sunday, November 11th, Lord and Savior Ev. Lutheran Church in Crystal Lake will begin marking the end of the church year. That Sunday is also Veterans’ Day — exactly 100 years after the signing of the armistice agreement marking the end of “the war to end all wars,” at the 11th hour of the 11th month of 1918. In our service that day, Pastor David Carlovsky will highlight what most call the oldest psalm, Psalm 90 -- the one psalm written by Moses. Moses affirms that God is eternal, faithful, and completely holy. He contrasts the eternal God with mankind. Man is finite, fickle, and unfaithful. The theme for that week is: "TEACH US TO NUMBER OUR DAYS!" Psalm 46 - No Fear! (2) A jump for joy. Psalm 34 - The Lord is my Shepherd - That's Enough! This Sunday (September 9th) will be the first week that Lord and Savior Lutheran Church returns to its regular schedule — a single service at 9:00am on Sunday. In that service, Pastor David Carlovsky will focus the congregation's attention on Psalm 48. The focus will be on the thought that God is our guide. That will be contrasted to our natural sense of spiritual direction--which is always wrong! The sermon theme is taken from the last verse of Psalm 48: "For this God is our God for ever and ever; he will be our guide even to the end" (Psalm 48:14). The sermon will have this theme and divisions of thought: "LET THE LORD BE YOUR GUIDE!" Psalm 2 - Our God Reigns! Psalm 2: "Our God Reigns!" This week (August 30th/ September 2nd -- Labor Day weekend) will be the last week of the congregation's summer schedule (offering a Thursday evening service in addition to its regular Sunday morning service). 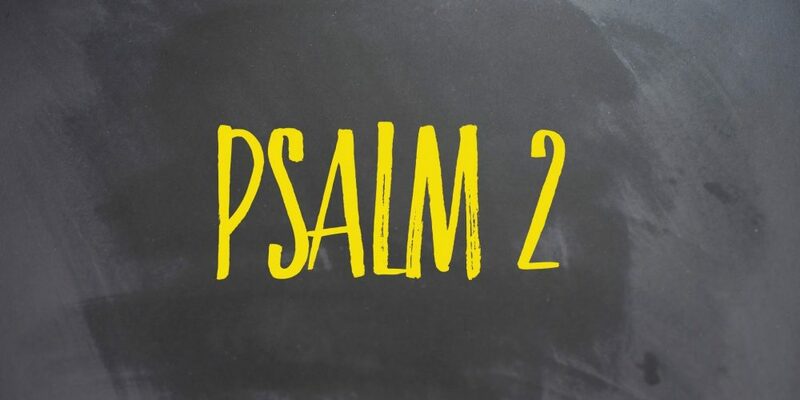 That week we will highlight Psalm 2, which is one of the most important Messianic psalms In this psalm David describes the futile resistance of the rulers of this world, against the kingdom of the Messiah. Mindful of His ruling the sermon theme is simply this: "OUR GOD REIGNS!" In His ruling we will focus on the many things He does, mindful of the verbs in the psalm, how... our God laughs... rebukes... rules... etc. Our gracious God is giving the world His warning. Some listen and are saved. The wicked foolishly reject Him and think that they are in control. The simple theme is: "OUR GOD REIGNS!" Psalm 48: "Let The Lord Be Your Guide"
The following week (September 9th) will be the first week of the congregation’s regular schedule — a single service at 9:00am on Sunday. In that service, we will focus our attention on Psalm 48. The focus will be on the thought that God is our guide. That will be contrasted to our natural sense of spiritual direction--which is always wrong! The sermon theme is taken from the last verse of Psalm 48: "For this God is our God for ever and ever; he will be our guide even to the end" (Psalm 48:14). The sermon will have this theme and divisions of thought: "LET THE LORD BE YOUR GUIDE!" I. Our natural sense of spiritual direction is always wrong! II. Only the Lord can and will guide you to heaven! Psalm 16 - "I Will Not Be Shaken!" Psalm 2 - "Our God Reigns!" The following week (August 30th/ September 2nd -- Labor Day weekend) will be the last week of the congregation's summer schedule (offering a Thursday evening service in addition to its regular Sunday morning service). 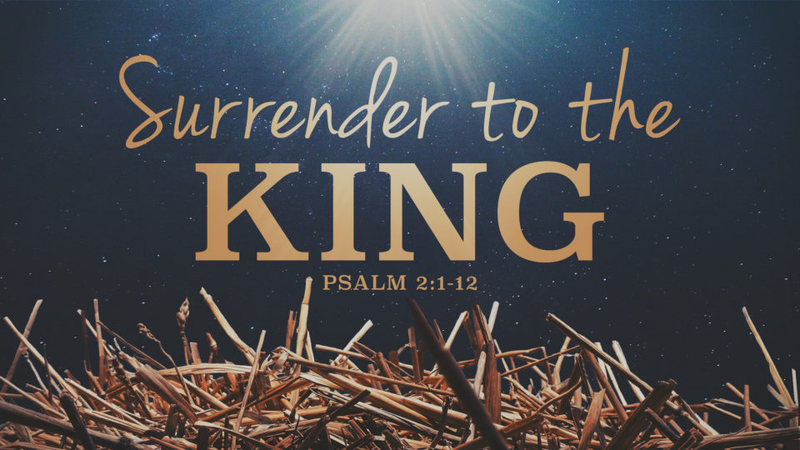 That week we will highlight Psalm 2, which is one of the most important Messianic psalms In this psalm David describes the futile resistance of the rulers of this world, against the kingdom of the Messiah. Mindful of His ruling the sermon theme is simply this: "OUR GOD REIGNS!" In His ruling we will focus on the many things He does, mindful of the verbs in the psalm, how... our God laughs... rebukes... rules... etc. Our gracious God is giving the world His warning. Some listen and are saved. The wicked foolishly reject Him and think that they are in control. The simple theme is: "OUR GOD REIGNS!" Thankfulness is to be the hallmark of our Christian life. David can shout: "Lord, every day I will praise you!” Every day? Isn't that a bit much? Didn't David ever have an off day? A bad day? Sure he did! So do we! Yet, at the end of the day, that's not what King David focused on. Instead, he shouts to the world: "LORD, EVERY DAY I WILL PRAISE YOU!" Psalm 147 - Sing to the Lord with Thanksgiving! This week (August 9th/12th) at Lord and Savior Ev. Lutheran Church in Crystal Lake, the congregation will continue its study of the book of Psalms (which was the Old Testament’s “hymn” book). Services this week will highlight Psalm 147 (esp. verses 1-9). Pastor David Carlovsky's sermon will remind us that God must have loved harvest festivals! He provided His OT people with not one, not two, but three annual opportunities for thanking Him. Firstfruits. Festival of Weeks. And Feast of Tabernacles (Ingathering). The timing of the festivals reflects the different harvest seasons in the Mideast. Two were in spring; Ingathering was the week-long celebration of the olive and grape harvest that marked the beginning of the fall harvest. The sermon will remind us that thanking and praising our God is year-round. And it's not just to talk about praise, but to give it! To shout it! To share it! To live it! The psalmist simply gave thanks from deep within his heart, with words/reminders like these: "SING TO THE LORD WITH THANKSGIVING!" I. For great is our Lord and mighty in power! Psalm 145 - Lord, Every Day I Will Praise You! The following week (August 16th/19th), Pastor Carlovsky will highlight Psalm 145. The sermon theme comes from verse 2, where King David writes about his Lord: "I will praise your name for ever and ever." Psalm 145 is, from start to finish, all about giving thanks to the Lord. Thankfulness is to be the hallmark of our Christian life. David can shout: "Lord, every day I will praise you!” Every day? Isn't that a bit much? Didn't David ever have an off day? A bad day? Sure he did! So do we! Yet, at the end of the day, that's not what King David focused on. Instead, he shouts to the world: "LORD, EVERY DAY I WILL PRAISE YOU!" Holy Spirit, Create Me New! II. ...but You've made me a child of God! Sing to the Lord with Thanksgiving! Continuing with the congregation’s study of the book of Psalms (which was the Old Testament’s “hymn” book), the following week (August 9th/12th) the service will highlight Psalm 147 (esp. verses 1-9). The theme (and wording for the division of the sermon) come directly from verses within the psalm. The sermon will remind us that God must have loved harvest festivals! He provided His OT people with not one, not two, but three annual opportunities for thanking Him. Firstfruits. Festival of Weeks. And Feast of Tabernacles (Ingathering). The timing of the festivals reflects the different harvest seasons in the Mideast. Two were in spring; Ingathering was the week-long celebration of the olive and grape harvest that marked the beginning of the fall harvest. The sermon will remind us that thanking and praising our God is year-round. And it's not just to talk about praise, but to give it! To shout it! To share it! To live it! The psalmist simply gave thanks from deep within his heart, with words/reminders like these: "SING TO THE LORD WITH THANKSGIVING!" II. For He gathers the exiles of Israel! Psalm 8 - "Lord, How Majestic is Your Name!" Psalm 51 - "Holy Spirit, Create Me New!"